88 Leix Road is a charming two bedroom mid terraced property set on a mature residential street and is sure to appeal to those looking for a home in walk in condition. 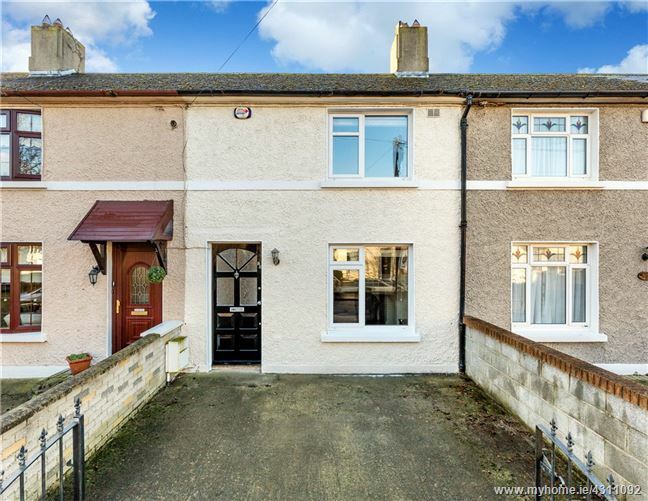 Located close to an abundance of local amenities and within short walking distance of Cabra Luas stop which provides easy access into the city centre, this fine home is sure to appeal to all those who cross its threshold. The accommodation comprises of a welcoming entrance hall which leads into a bright and spacious living room with ample understair storage, the modern kitchen/ dining room is flooded with natural sunlight thanks to its south facing aspect. Upstairs there are two spacious bedrooms and the fully tiled modern bathroom completes the picture of this charming home. 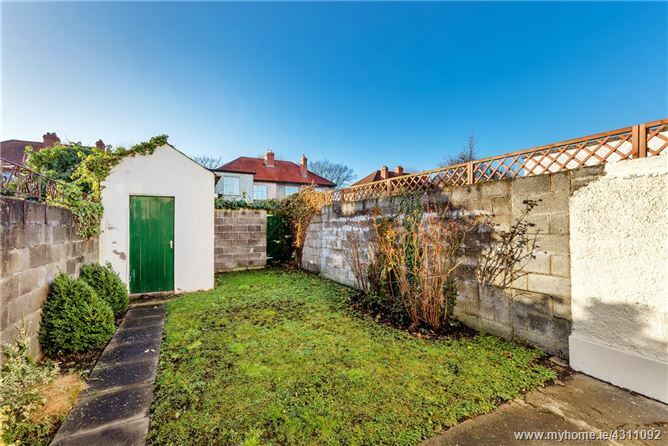 To the rear there is a highly sought after sunny south facing back garden with a large utility shed with electric supply and plumbed for washing machine. The location of 88 Leix Road is simply superb. There is an abundance of amenities in the local area including shops, leisure facilities, and an excellent choice of national and secondary schools. The property is also within walking distance of the Phoenix Park, Botanic Gardens and Grangegorman DIT. There is easy access to the N3, M50 and Dublin Airport is a 20 minute drive approx. Entrance Hall 1.50m x 1.30m. Welcoming entrance hall with tiled flooring and recessed lighting. 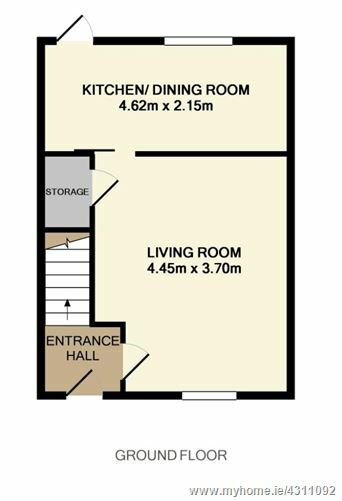 Living Room 4.45m x 3.70m. With wood flooring, recessed lighting, understair storage press and sliding door to kitchen/ dining room. Kitchen/ Dining Room 4.62m x 2.15m. 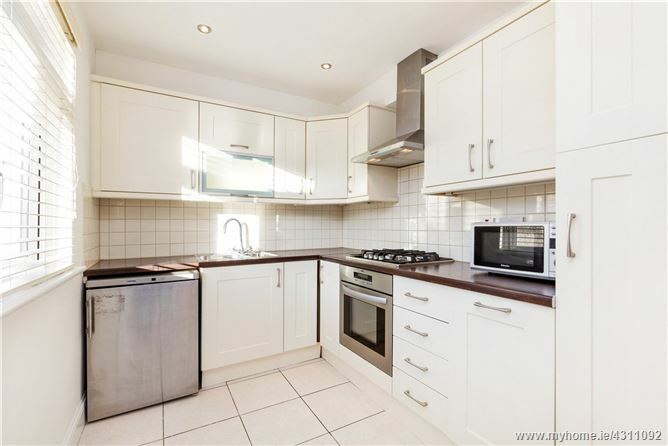 With tiled floor, wall and floor units, sliding pantry press, tiled splashback, recessed lighting and door to sunny south facing back garden. Bedroom 1 3.74m x 3.08m. 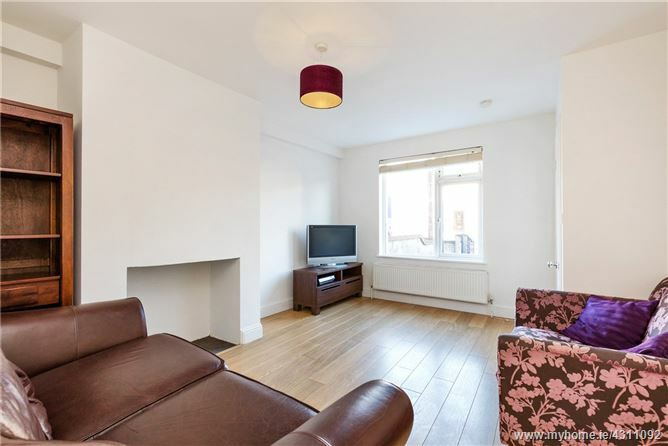 Spacious double bedroom to the front of the property with carpet flooring, large wardrobe and open fireplace. 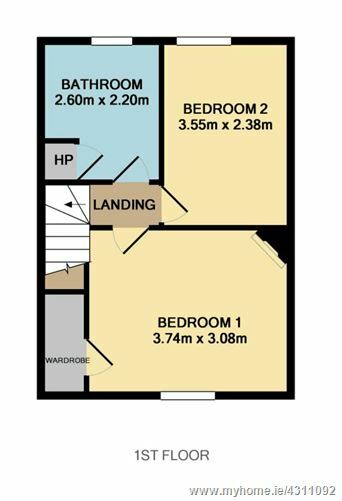 Bedroom 2 3.55m x 2.38m. 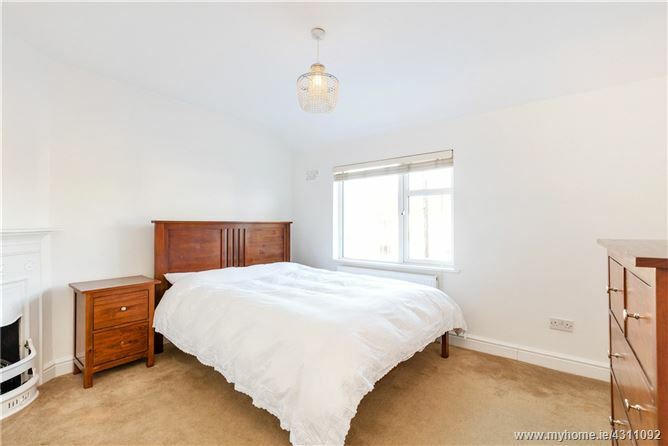 Double bedroom overlooking the rear garden, with carpet flooring. 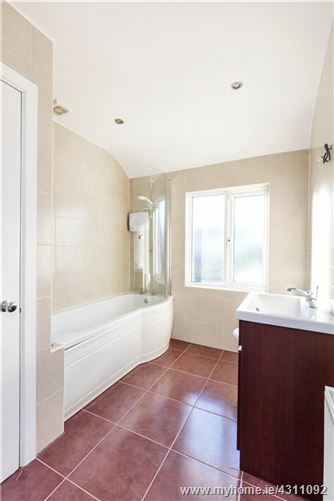 Bathroom 2.60m x 2.20m. Fully tiled bathroom with wc, whb over cabinet, bath with electric shower overhead, recessed lighting and shelved hotpress.